Two massive meteors falling in the first major meteor shower of 2017 – the Quadrantids – have been caught on camera by lucky car drivers in northwestern Russia. 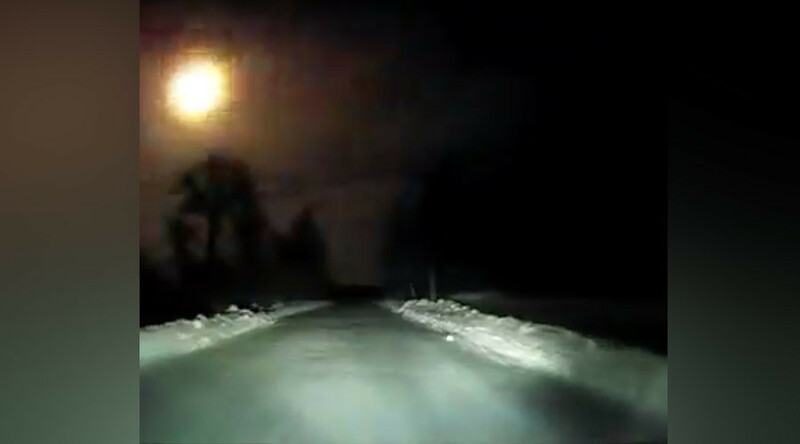 The two luminous space rocks were filmed by dashboard cameras on January 3 and 4th in Arkhangelsk region, some 1,200 kilometers north of Moscow, according to local media. The two objects in the videos appear to be the larger representatives of the Quadrantids, the annual meteor shower traditionally observed in the Northern Hemisphere between December 28 and January 7 when the Earth passes an asteroid belt, according to the Pulkovo Observatory of the Russian Academy of Sciences. “Every year in early January, the Earth encounters the Quadrantids meteor shower, and it is likely during these days that some particularly bright meteor, called a bolide, may fall,” Sergey Smirnov, the Observatory’s press secretary said, in commenting on the videos to Life News outlet. He noted that the bright flash seen in the videos actually occurs at an altitude of some 100 kilometers, while the bolide itself can be large enough to survive the trip through Earth’s the atmosphere without burning up and reach the Earth’s surface. Most of the meteors are not visible to the human eye. The Quadrantid is one of the strongest meteor showers of the year, but observers may be left disappointed, as visibility conditions are rarely good this time of the year, and the peak intensity of the shower is rather brief, sometimes lasting only hours. The shower usually peaks on the night of January 3 to 4, when observers can see up to 200 meteors per hour. While the shower is barely detectable on its ending dates, larger objects can still be seen by the naked eye through January 12.